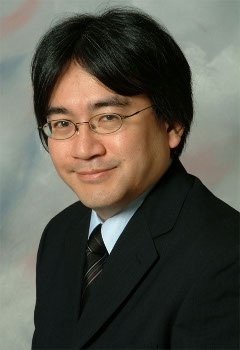 Nintendo President Says Wii U Sales Are "Not Bad"
Nintendo's new console is selling well, but not as well as the Wii. Hop on any gaming forum, and it's clear that the Wii U draws in a dizzying variety of opinions, ranging from "messianic device" to "harbinger of the apocalypse." While the newest iteration of the console wars plays out, the system itself seems to be selling just fine according to Nintendo's president. While sales have slowed since its initial seven days, Satoru Iwata believes that the system's current selling power is well within reason. Iwata discusses the Wii U's holiday sales in terms of its predecessor, explaining that the new system has not quite reached the level of demand that the Wii commanded. "At the end of the Christmas season, it wasn't as though stores in the U.S. had no Wii U left in stock, as it was when Wii was first sold in that popular boom," he says. "But sales are not bad, and I feel it's selling steadily." Iwata remains hesitant to make any sales predictions, but believes that increasing production of the 32-gig Deluxe model will move a few more units. "Inventory levels for the premium, deluxe package was (sic) unbalanced as many people wanted that version and couldn't find it." Nintendo still wants to sell 5.5 million Wii Us by April. Consumers won't know just how feasible this goal is until Nintendo releases solid sales figures for the month of December, but in the meantime, Nintendo's head honcho doesn't seem too worried. Either way, the Wii U still has a long way to go before it matches the original Wii's near-100 million sales.